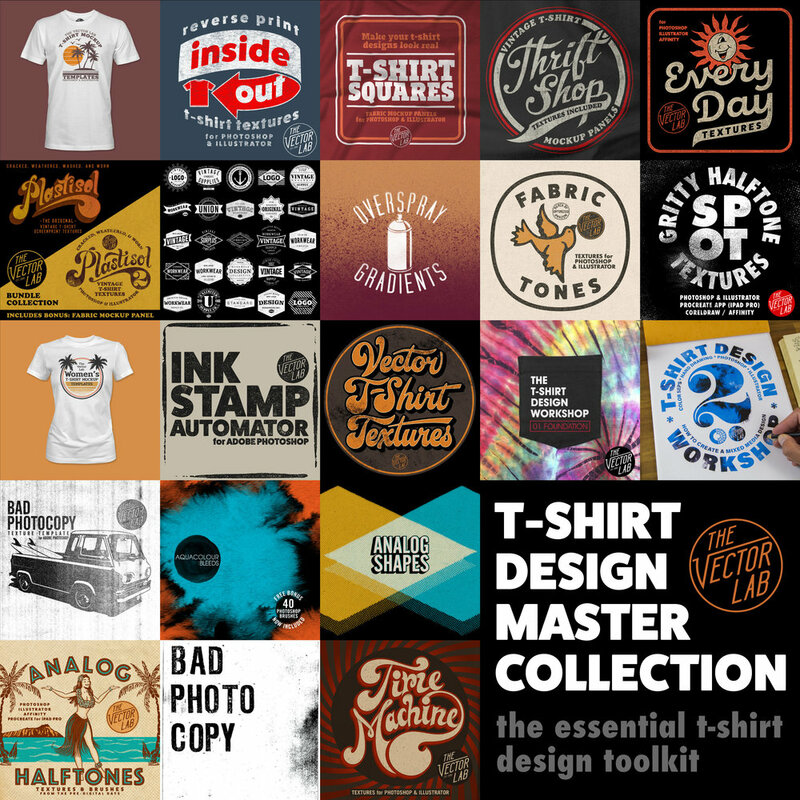 Make your t-shirt designs look washed & worn with Plastisol Textures for Photoshop and Illustrator! What is Plastisol, and what does it have to do with Vintage T-Shirts?? Plastisol Ink is a type of Screen Printing Ink that was first used to screen T-Shirts in the 1970's. When you look at Vintage Clothing, it's the ink that cracks and flakes over time as the t-shirt gets washed, stretched out, and worn to too many Def Leppard concerts. Plastisol is why real Thrift Shop T-Shirts look Vintage! How easy is it to add vintage texture to your own designs? Have a look at the tutorial videos. PHOTOSHOP PSD: The most versatile format. Power users can easily go in and adjust the textures to their liking. BITMAP TIFF: Use the "Opacity Mask" method (shown in the Plastisol 2 tutorial) to knock transparent texture through your raster & vector designs in Adobe Illustrator (yes Illustrator)! PHOTOSHOP BRUSH: Super easy to use. Just double-click on the .abr file and these brushes will load into your Photoshop Brushes Palette. Select a brush, and click to paint in your vintage texture! So what's the difference between Plastisol 1 and Plastisol 2? The short answer is Plastisol 1 Textures are FASTER. 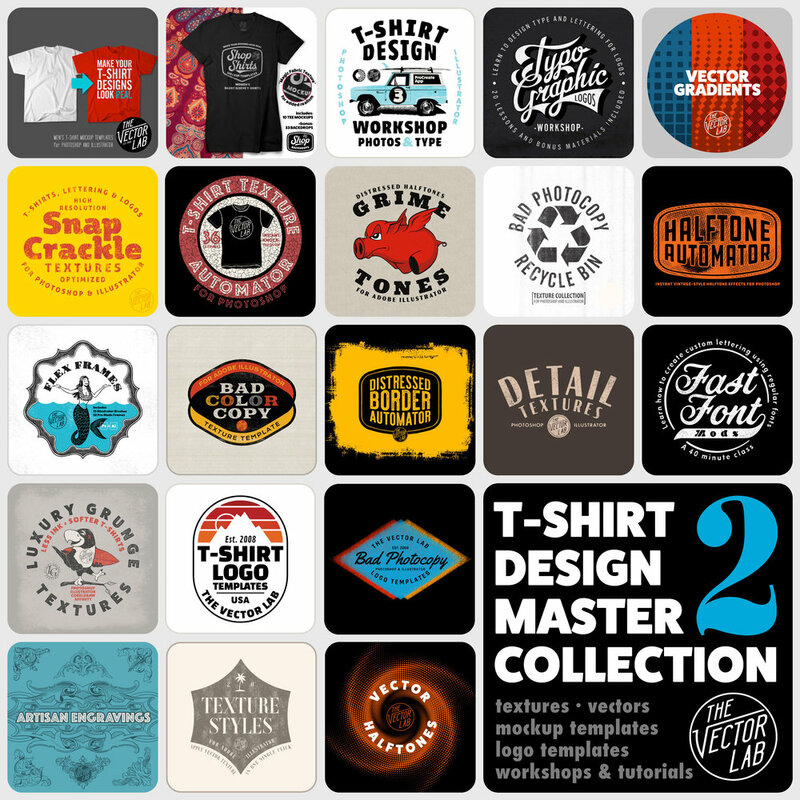 Plastisol 2 Textures are highly CUSTOMIZABLE.